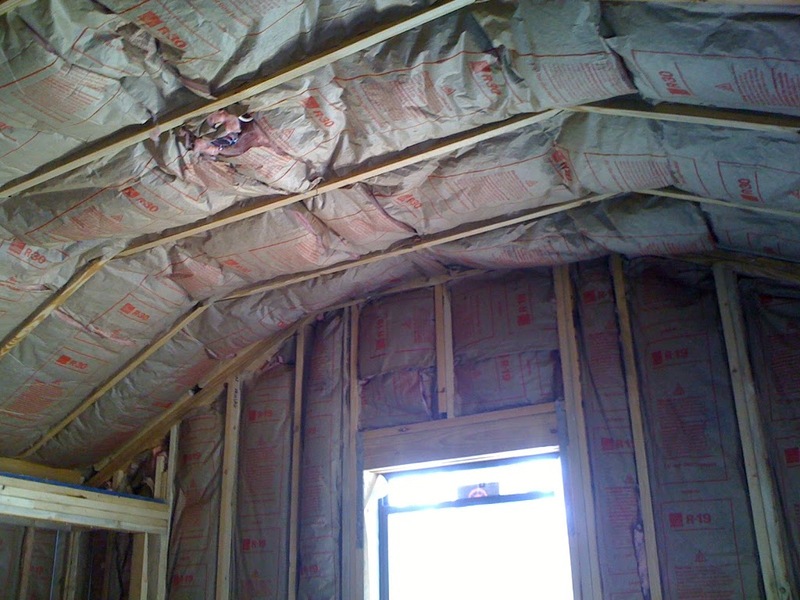 They finished installing the insulation. 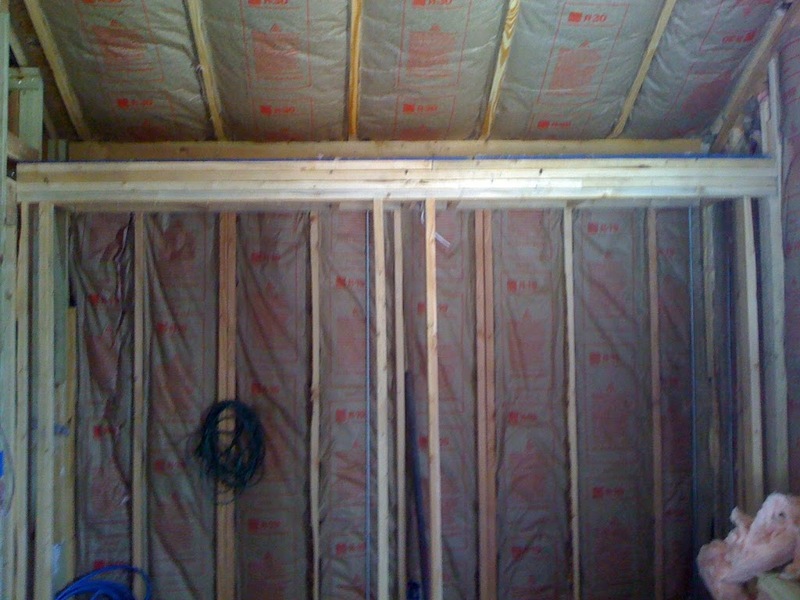 They also installed sound proofing (so our little princess can sleep in the mornings as she is wont to do). Drywall was delivered. We had to move our wine rack so they could stack it by the door. 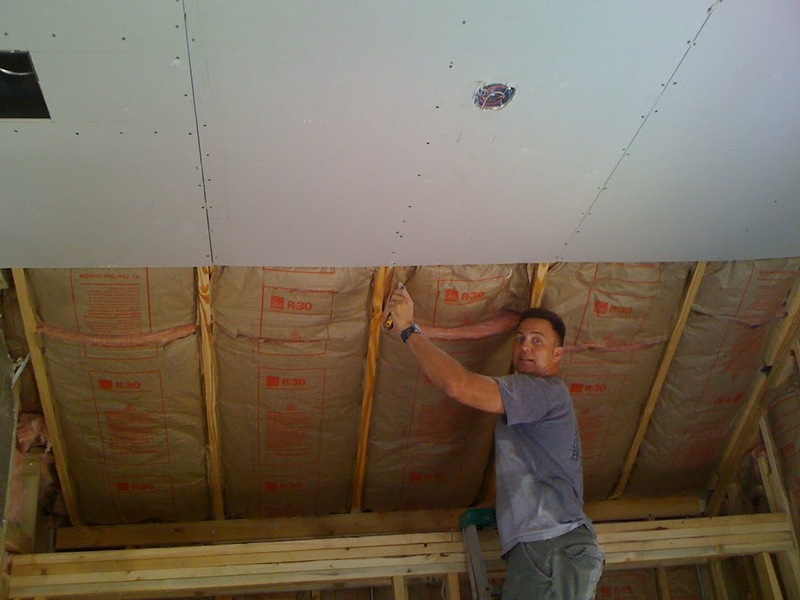 Here is Kevin installing the ceiling. He also put in the air ducts with a return today. It’s really coming along! 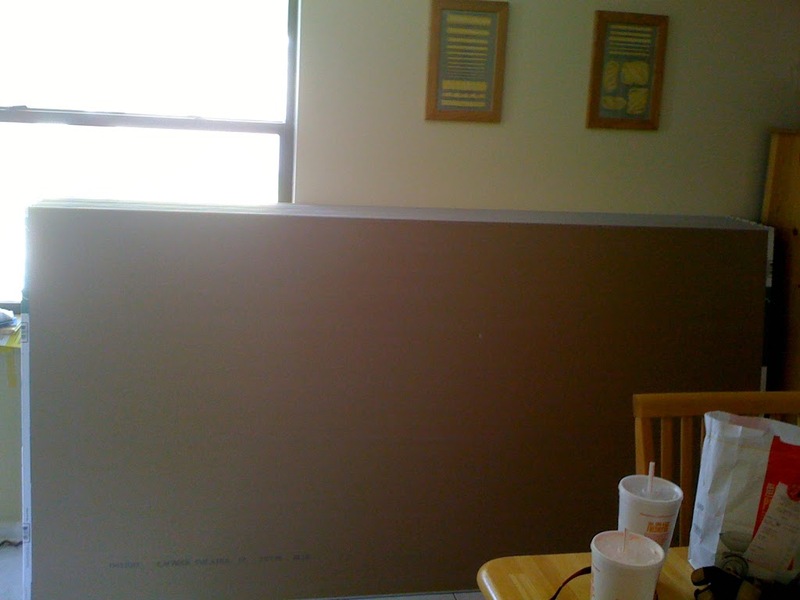 Tomorrow they will probably finish the drywall. The electrician is going to come out to put in the plugs. Won’t be too long now! Annie promised Kevin that when she’s well (she has a little cold right now) she will bake him cookies. Kevin was jealous when he found out that she baked cookies for Jordan and Adam.